Customers nowadays want to check that an item they are purchasing is in stock before they leave home, not to mention checking the price of it. This is why many more companies are offering a Click & Collect service. Over half of the major retailiers around the country are already offering Click & Collect, with many more planning to add it this year. For retailers selling online, it makes perfect sense. The Internet Retailing magazine, reports that more than 60% of Click & Collect shoppers add further products during item collection. Our Nettl:click&collect website is a powerful web shop which integrates with your ‘offline’ shop. Think about selling online to new customers as well as offering a Click & Collect functionality to your existing customers. Our Nettl :click&collect websites have the facility to integrate with EPOS NOW tills. They are one of the fasting growing Epos companies in the UK and has thousands of customers within the retail and hospitality sectors. Many more are joining each month. 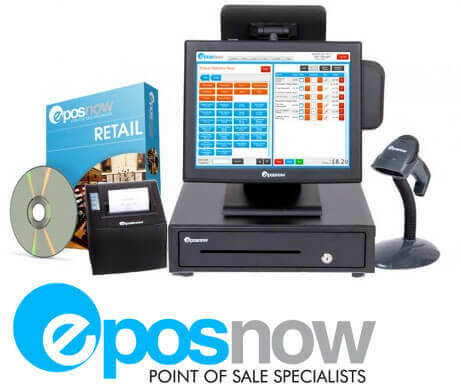 Epos Now systems are very simple to use and are suitable for all types of businesses, ranging from SME’s through to larger corporate companies. Upload all your products and categories from Epos Now to your web shop automatically, and get up and running quickly. Decide when to upload new products to your website. Decide when you want to publish new products or decide if you want to review them first. Recently changed your prices on your till? Easily update the prices on your website with one click. Have the facility to synchronise your stock levels between your website and your till – your website will then automatically update stock levels when you an item is sold in store. No more stock in store? Products will be automatically shown as ‘out of stock’ on your website. Have the facility to import all products to your website from an Excel/CSV file and send new products to your till. 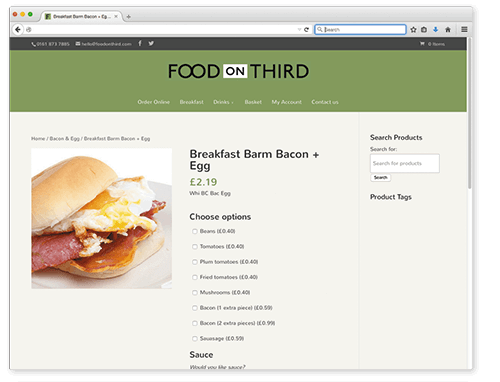 Select which products you want to show on your website, only show on your till, or both. 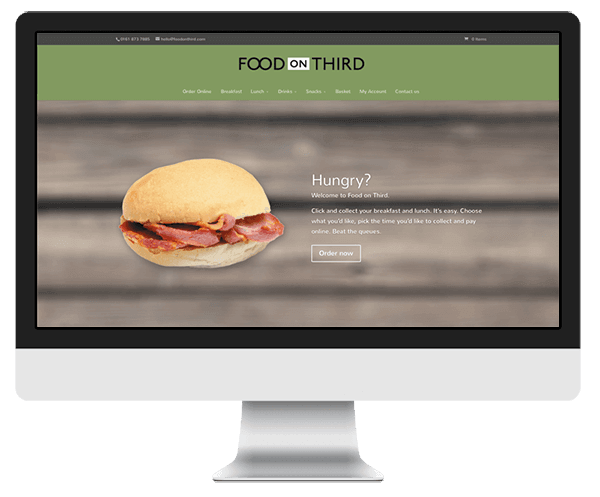 Your website will grow as your offline business grows – from 5 products to 5,000. When an order is placed online, it automatically is sent to your till. You have the option to decide whether orders are sent as ‘completed’ transactions or ‘ordered’ for ‘Click & Collect’ in store. Staff can easily process ‘Click & Collect’ orders on the till, edit the order or add additional items. 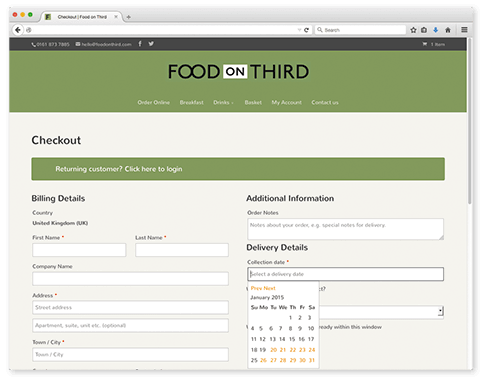 Have the option to set delivery or collection options, including thresholds for free delivery. 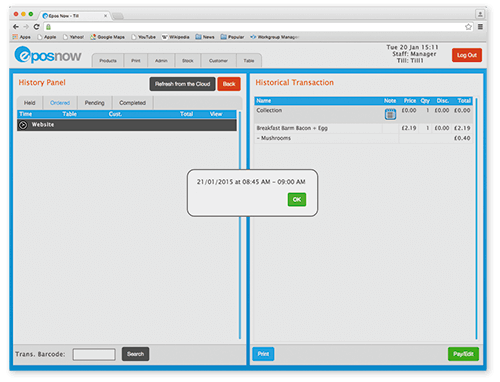 Allow your customers to specify a delivery/collection date and time slot. Set ‘rules’ on how many time slots are available, to match your staffing or opening hours. When not avaialble, you can set ‘rules’ to prevent customers ordering on days you’re not available. Have the option to take debit and credit card payments online via our Stripe integration and receive monies directly into your bank account, without needing a external merchant account. Securely save customer’s card details against customers’ accounts for faster checkout and frequent orders. Have the option to allow your customers to pay on collection/delivery or have them pay online. All transactions are shown on your till as paid online or with balance to be paid. We will custom-design your site to match your branding. You will have a full content management system which will allow you to edit product descriptions, text and images.